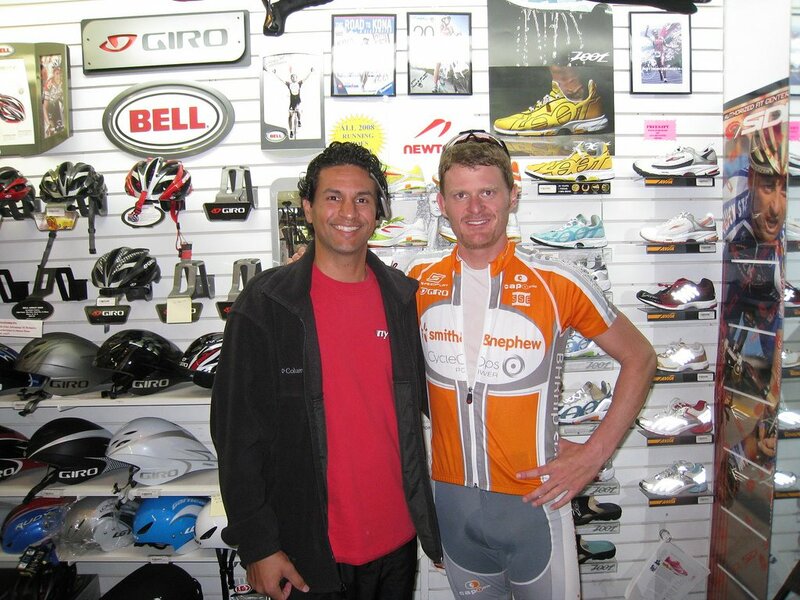 Floyd Landis stopped by today. I told him he got a raw deal! I also told him that I still believed he was clean!! He said he appreciated my sentiments. I am so excited to see him race again!!!! This entry was posted in Pro Sightings by REV Cycling Directeur Sportif. Bookmark the permalink.